Shannon Mattern (as part of her self-described “urban data and mediated spaces” beat) examines “the hardening of American borders and the spread of new technologies of recognition and identification that are changing the way we appear to one another.” Particularly “In Trump’s America“. Ultimately, laying out “a final object lesson, which proposes a new way of responding to the border, an embodied transnationalism“. Regarding going beyond adaptive-reuse focusing on developing a more circular-economy via cradle-to-cradle design for deconstruction. Recently the local Denver YIMBY Facebook group was discussing a piece published over at Governing which explored	‘When Citizen Engagement Becomes Too Much‘. Specifically, the pros/cons of technocratic vs participatory forms governance through the example of Austin’s CodeNext process. Further, while I do believe in the value of technocratic expertise, I would disagree that we need less citizen participation/feedback in governing. If anything more. For instance things like participatory budgeting, which I have heard some council-members speak favorably of. I’ve also attended meetings where tabletop games or insta-polling were used and the consensus of the room was that these were very useful, rather than officials being able to merely check the box via monologue heavy community “listening sessions”. Or how about even more fine-grained, neighborhood scale approaches like wijkwandelingen? Graham Caine’s London Ecological House (1972) processed human excrement into cooking fuel and fertilizer for growing vegetables on-site. Caine, an architecture student at the time, lived in the house for two years. “The joyous and voluntary poverty of Buddhism becomes a positive force. The traditional harmlessness and refusal to take life in any form has nation-shaking implications…The belief in a serene and generous fulfillment of natural loving desires destroys ideologies which blind, maim and repress“. Further, read Gary Snyder regarding “Engaged Buddhism” aka “Buddhist Anarchism” originally in the 1969 collection of essays Earth House Hold. In their presentation Anuradha Mathur and Dilip da Cunha question our typical understanding of rain, water and river, and rephrases how all these are connected to our behaviour towards nature. They show evidence of how being gentle to water and letting it flow is always better than forcing and containing it within hard-lines of dams and barrages, and how natural drainage systems can save us during the upcoming crises of climate change rather than controlling it by force. 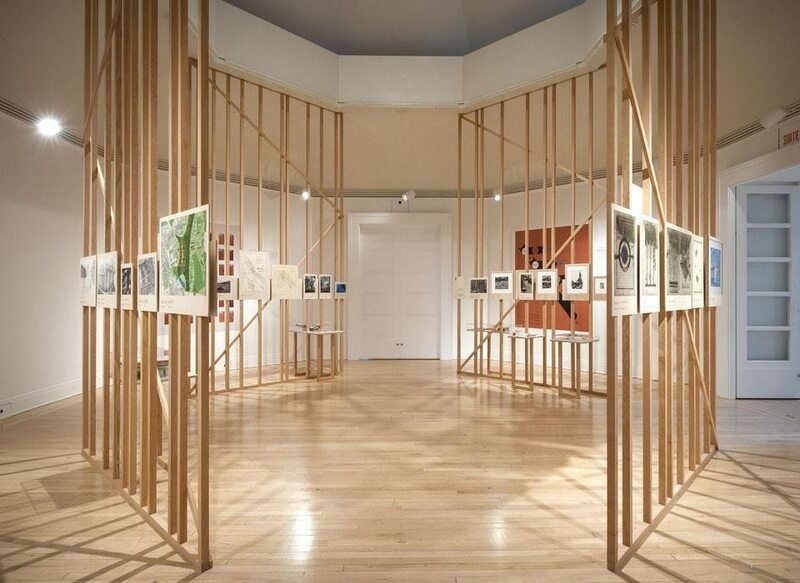 Marcelo López-Dinardi reviews ‘First, The Forests‘, a new exhibit at CCA. The curatorial project is “organized under four categories that provide the interpreter with a synthetic view of the complex and larger phenomenon of forestry and nature. These are: Bureaucratic Forestry, Scientific Forestry, Tropical Forestry and Economic Forestry“.